March 16, 2016 - No Comments! 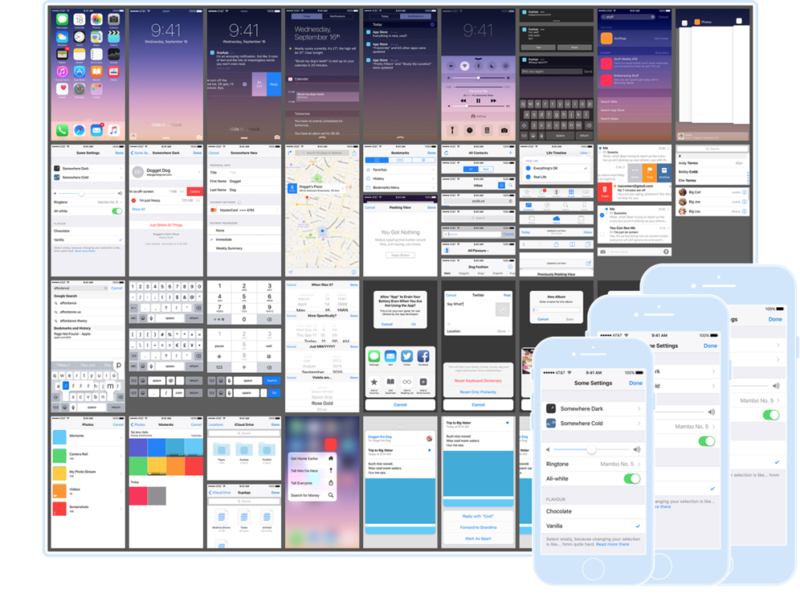 It's annoying to always be recreating the standard features of iOS so here's handy kits that will make it way simpler to create that all important alert visual you need in a deck to explain the point away courtesy of Oz Pinhas. March 11, 2016 - No Comments! 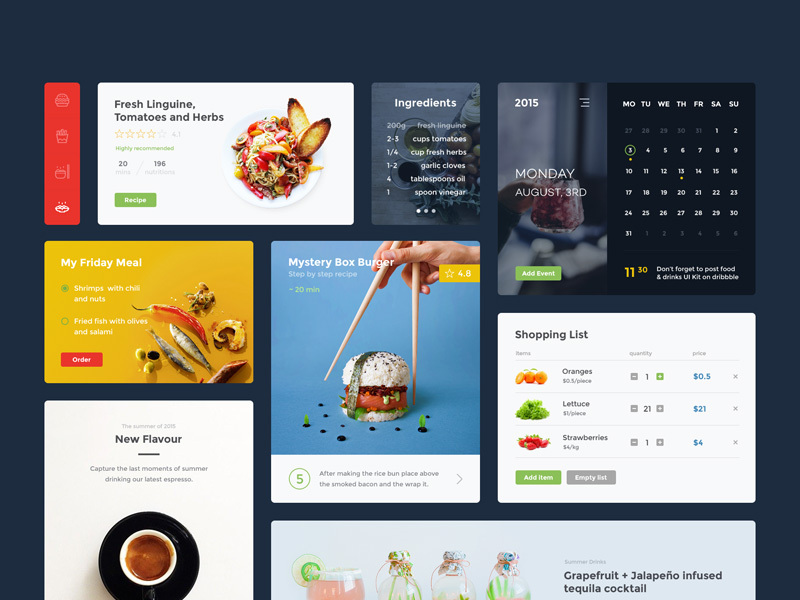 Food & Drink is a clean and modern UI kit providing many useful widget-style components for your inspiration. Free PSD and Sketch files released by Sergiu Firez.